EnergyPATHWAYS was created through a collaboration between the Deep Decarbonization Pathways Project (DDPP) and the California consulting firms Evolved Energy Research and Energy & Environmental Economics (E3), with support from the Sustainable Development Solutions Network (SDSN). This web application allows users to create novel energy scenarios to 2050 for the U.S. 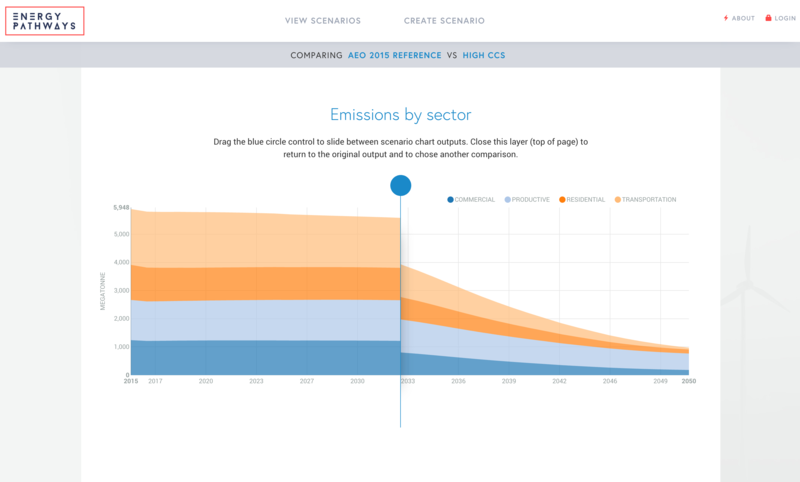 It also displays built-in scenarios of technology pathways to U.S. mid-century emission targets. 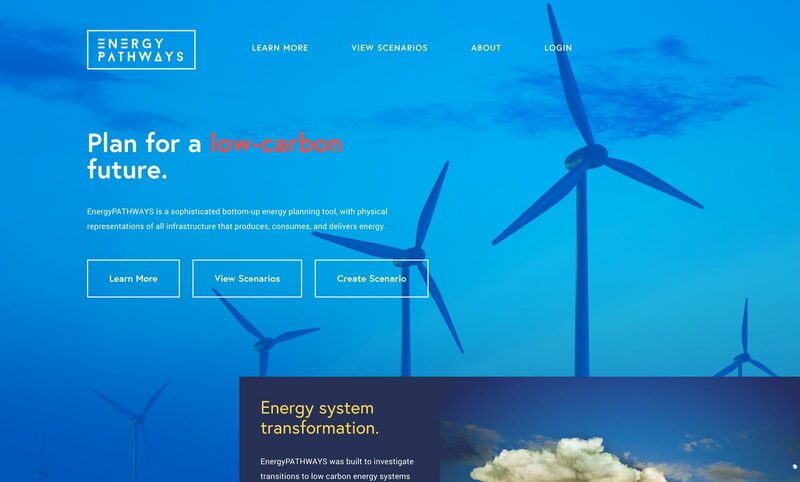 EnergyPATHWAYS was built to investigate transitions to low carbon energy systems and calculates emissions, energy flows, costs, and other important factors. This model has been used by U.S. states, national laboratories, public utilities, NGOs, and private corporations. It was the basis for the U.S. Deep Decarbonization Pathways Project studies, and has been expanded for international use. 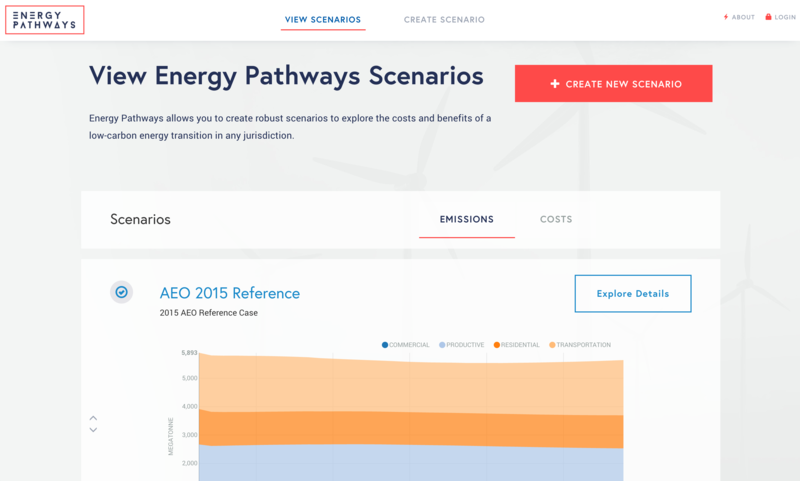 Energy Pathways allows you to create robust scenarios to explore the costs and benefits of a low-carbon energy transition in any jurisdiction. Key features include an hourly electricity system optimization – making it well suited for exploring high penetrations of renewable energy on the grid, or end-use electrification– and infrastructure stock flow models that accurately reflect infrastructure inertia during energy system transitions. The EnergyPATHWAYS code is open-source and can be found on GitHub along with more detailed model documentation. The database to run the model for the U.S. is maintained by Evolved Energy Research and is available under a free academic or paid license.